Proof your recruitment processes for bias and diversity. What impact will Gender Pay Reporting have on the organisations required to publish their figures? 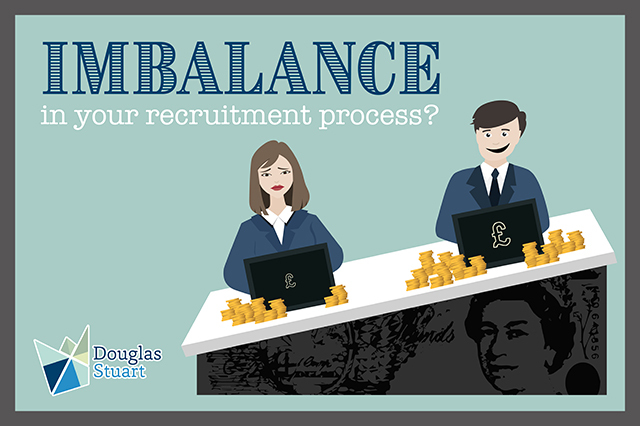 Where significant pay imbalances are exposed there will be understandable concern about the attendant publicity. In the short term the focus is on the numbers. But the real value of the exercise lies in the narrative that organisations use to explain gender pay disparity and how they plan to address the issue. There are many complexities around pay inequality and reporting these issues contributes to the bigger picture. Nevertheless, companies do need to acknowledge any gender pay discrepancies and, critically, articulate how they are going to remedy them. There is not only legal compliance at stake – but significant reputational damage too. Wide pay disparities, defensive reporting and failure to meet the April 4th deadline will attract negative publicity from the media, business, public, customers and employees alike. What’s crucial is how business reacts to these pay gaps and the concrete action they take to address them. Those companies who put their money where their mouth is are likely to come out on top. Not only in public relations, but in building a fairer, more equitable workforce. A workforce that will arguably be more productive, higher performing, more engaged and better retained. A key component of closing the gender pay gap is how organisations recruit, assess and develop their employees. Ensuring that you have a robust recruitment process, recognizing the inherent, and often unconscious bias, that lies at the heart of human decision making, is critical. Read here for more information on unconscious bias. Many organisations are already actively developing sustainable female talent pipelines and are considerate of diversity in selection. However, it’s an ongoing process that requires continual review and refinement. Recently, we worked with Spirax-Sarco Engineering Plc to help them further eliminate bias in their Global Graduate Development Programme. We ‘proofed’ their application questions, and assessment design from a bias and diversity perspective. It’s this level of commitment to recruiting and developing the best STEM graduates, regardless of gender, ethnicity or background, that contributes to their reputation as the top UK company for graduates in the engineering and manufacturing sector. Raise awareness: It’s impossible to eliminate bias altogether but it’s important to be aware of it – both as individuals and within organisation’s systems. It’s not about pointing the finger – we all have bias – but reducing it’s impact on the way we make decisions. Don’t blame and shame: This really is counter-productive. If you think raising bias awareness is all about other people, think again. We are all part of the problem, and part of the solution. Make diversity a conversation: It isn’t so much about explaining away figures that may reflect poorly on current practices. It’s about opening up a dialogue internally and putting it on the company agenda. Look at job descriptions and applications forms: It’s possible to send out subtle, but powerful messages as an employer by using gendered language. Standardise interview process: Make sure everyone involved in the hiring process has interview training. We strongly recommend using competency based interview techniques. In our experience it’s one of the most effective ways to reduce bias and standardise process. Be transparent and communicate. If your intentions are good, this approach will pay dividends – it’s not about getting it right all of the time. Share best practice: This is about an on-going commitment. Explore and be curious about what other organisations are doing. Seek advice. Garner opinion. Measure results. Request feedback. Of course, making sure that recruitment and assessment practices are fair and inclusive is only one part of closing the gender pay gap – albeit a critical one. There are many other things to consider, not least flexible working, increasing the visibility of women in leadership roles, paternity leave, and sponsorship programmes. Equality won’t happen by itself, and it won’t happen overnight either. But we can all start taking strides in the right direction. Do you recruit with diversity and inclusion in mind?